Home » Dog Training » A sad loss. 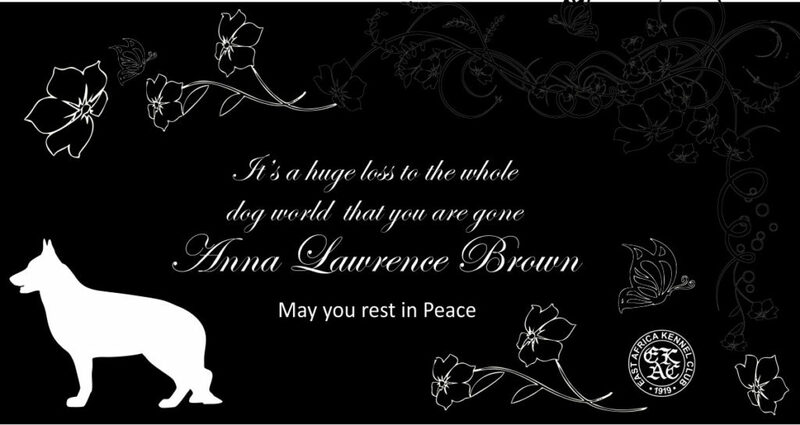 Anna Lawrence Brown. It is with great sadness that we heard the news of the passing of Anna Lawrence Brown on 14 November 2018. Anna was a long time member of the East Africa Kennel Club, holding the Affix Valiserin. For the German Shepherd Dog League she was the Chairlady, an expert Judge recognised by the WUSV. Her guidance and wise council will be missed.